Making the most of any machine, particularly in a busy season, requires regular maintenance. 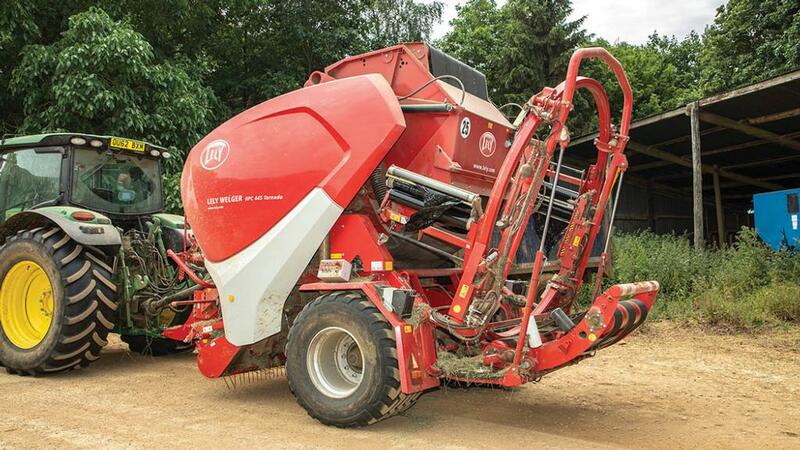 Finding out what is needed to keep a combi-baler operating at peak performance, Geoff Ashcroft sought some expert tips. 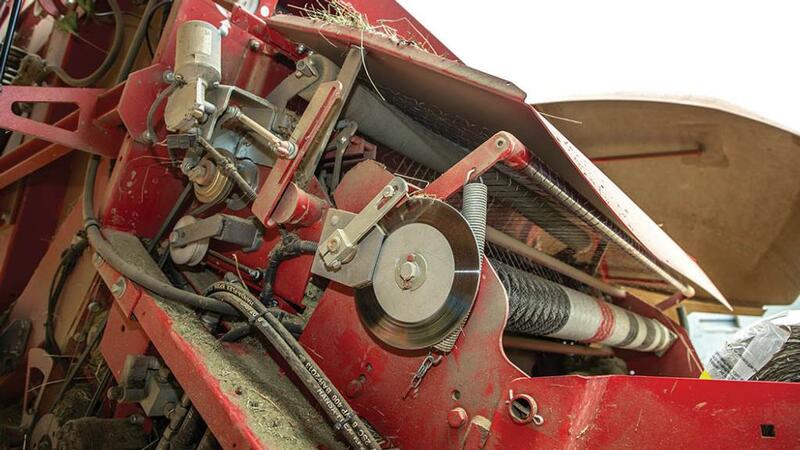 When it comes to efficiency gains, the ability to combine round baling and wrapping into a one-man, one-machine system offers many advantages. But shoe-horning two machines into one also brings with it some complexity, particularly if output and reliability are to be maintained. Automated controls, sensors and monitoring makes sure bale formation and transfer to the wrapping system are smooth and fuss-free. And manual over-ride lets you make the most of bale carry or bale drop, depending on terrain. following Agco’s recent acquisition of Lely’s forage business. Also migrating with the Lely forage products into the Fendt camp is Dan Woodward, Fendt forage product specialist. The Tornado uses four endless belts to produce a 1.2m wide bale from 0.9m to 1.6m in diameter, before transferring the tied bale onto a wrapping table which uses a horizontal ring to apply film. Rolls measuring 500mm and 750mm can be used, and pre-stretch gearing can be changed to generate a 55 or 70 per cent stretch. Control for the Tordando comes from a touchscreen box, which needs to be stored when not in use, to preserve the screen’s durability. PAY close attention to tines and stripper plates on the Tornado’s 2.25m pickup. It is where the performance starts from. Behind the pickup is the drop floor system and a bank of knives that offers the use of 25, 13 or 12 blades to vary the chop length of forage. “Knives should be kept sharp, and a flat grinding wheel is the best way to tidy them up,” he says. 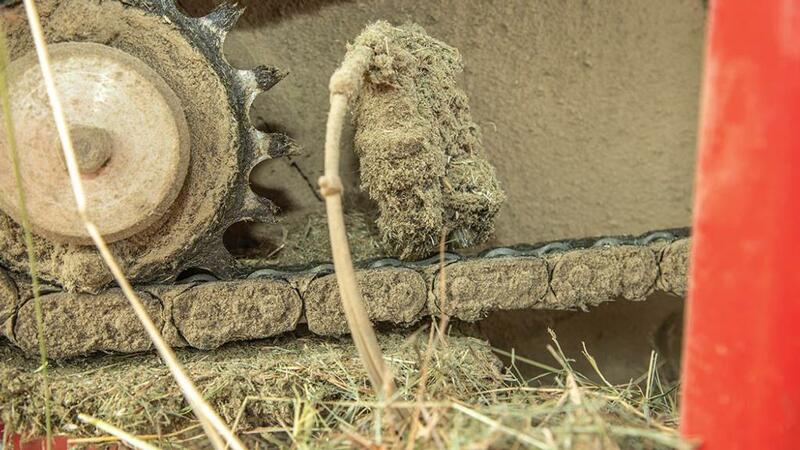 Check the operation of the net brake system, which sits on the right-hand side of the net roll. “You need some tension on the net roll. It is important the net brake is not seized on, nor so worn out that it will not operate,” says Mr Woodward. The net is cut using a knife working against an anvil. CHAIN tension and chain lubrication are essential for longevity and reliability, and auto-lube systems takes the strain out of chain lubrication. “The oiling brushes must sit on the chains to ensure transfer of lubricant,” says Mr Woodward. Chain tensions should be checked and set according to the manual. Mr Woodward says bearing play should be checked each season to look for excess play, with any questionable bearings being replaced before they fail mid-season. “I would also recommend changing the main gearbox oil at the start of every season, and I would always suggest a blow-down using a powerful compressor rather than jet-washing,” he adds. The wrapping ring is located by black rollers which sit on bearings. Check them, as the working weight and speed at which the wrapper operates can apply considerable force to the bearings. 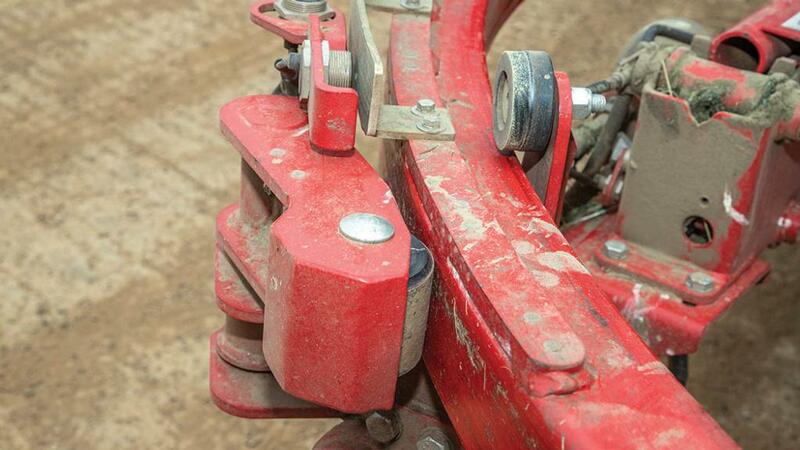 “Make sure there is no debris build-up or plastic caught around the rollers. This will put intense pressure on the bearings,” says Mr Woodward. Film cut and hold operates with a scissor-action frame that gathers film in a rubber-coated arm. As the arm is lowered hydraulically, film is pulled across a stationary knife to make a clean cut. The process can be operated manually from the rear of the machine to check operation, and a sharp edge on the knife ensures repeatable accuracy with each cut. 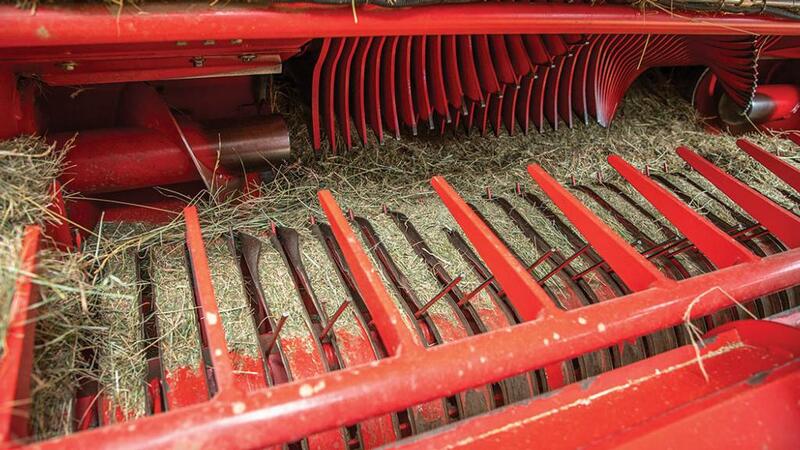 Control of bale transfer speed is managed by a hydraulic arm with an accumulator. If there is a lack of system pressure, it will not cradle the bale on its way to the wrapper. Check pressures on all the Tornado’s accumulators using a gauge, and refer to the operator’s manual. Pressure can be restored using the tractor hydraulics to recharge the system, as long as the system does not exhibit a leak.